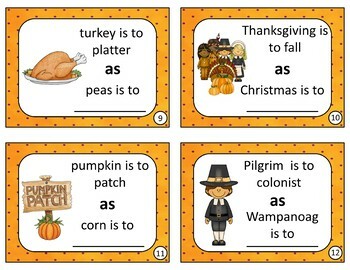 Thanksgiving Analogies for Grades 1-3 is a fun set of 30 analogy task cards with adorable graphics to teach analogies with a Thanksgiving Theme! Sarah Hale Saves Thanksgiving Literature Guide. 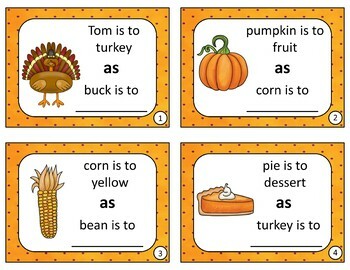 Christmas Analogies For Grades 1-3. 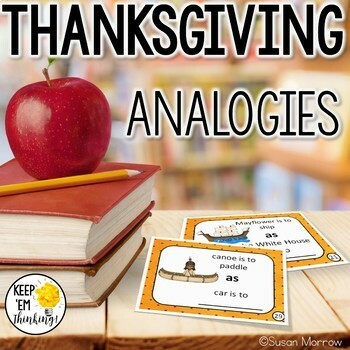 Analogy Safari – Animal Analogies for Grades 1-3.